Please note: You must sign up for an eventbrite ticket and present it in person in order to attend this event. If you have privacy concerns about Eventbrite, you can use TOR Browser to access the site and Mailinator to create a throwaway email address (I suggest a randomly generated 32 character string for the email). You can even put your pseudonym or PGP fingerprint on the ticket instead of a real name, we don't care as long as we know the place isn't going to be over capacity. If we are over capacity, only people with a digital or paper copy of a valid Eventbrite ticket will be allowed to attend. I2PCon is the first event of its kind. It has two short term goals. Where the first one is to provide the general public with an event where knowledge about privacy and privacy concerns can be obtained. The second goal is to further the I2P project and its community. 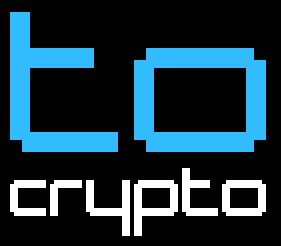 This will take the shape of technical discussions about cryptography, anonymity and I2P centric topics. There is a larger and more long-term goal of this event, and it is to build a commnutiy of privacy-conscious individuals. By connecting people who recognize the importance of privacy, we would like to provide a forum where this community can grow. The idea for this event was first spawned by our wonderful friends at Toronto Crypto. The venue and everything relating to it is provided by Hacklab. Without either of them this event would not have been possible, so thank you both. 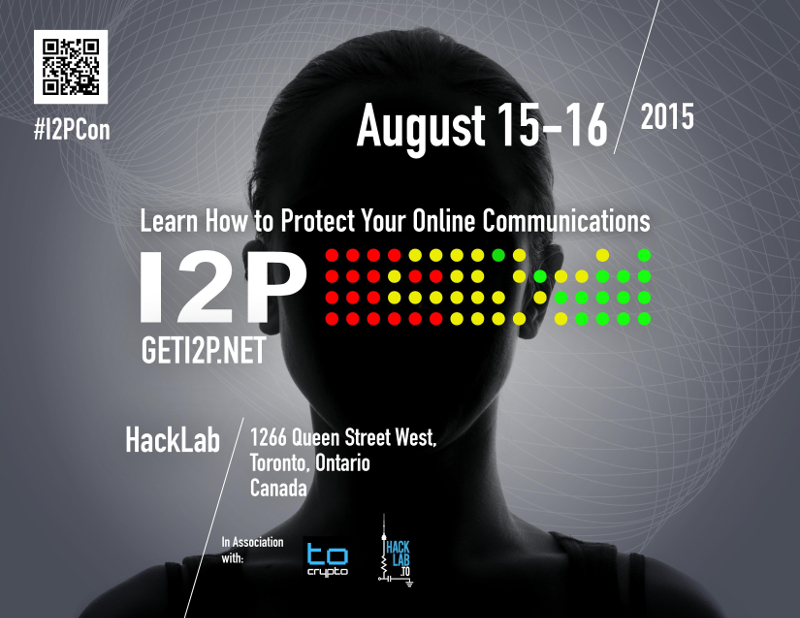 I2PCon is entirely free to attend! We ask you to register here, to give us an estimate of how many people will be attending. No identifying information has to be given in order to register, but if you have any concerns, please let us know. Hacklab at 1266 Queen Street West, Unit #6, Toronto. Power and WiFi access will be provided by Hacklab. 5:00PM zzz "Growing the Network, Spreading the Word"
5:45PM Lance James "Privacy vs. Intelligence - Why can't we all just get along?" 12:00PM David Dagon "I2P Monitoring and Filtration"
1:00PM zzz "The Connection Limit Challenge"
2:30PM Lance James "Anonymity protocols and malware - Why they fail"
3:30PM psi "I2P App Dev Intro"
4:00PM str4d "The Agony and the Ecstasy of I2P on Android"
4:30PM orignal "An Intro to i2pd"
If you have any questions, feel free to contact us on @geti2p. Newcomers are welcome every Tuesday evening at our Tuesday Open House.